The turf is the limit! 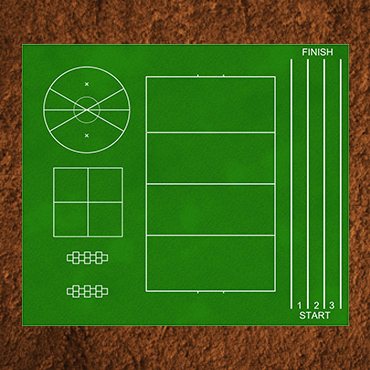 You can have anything imaginable on your Kickabout™ play surface. 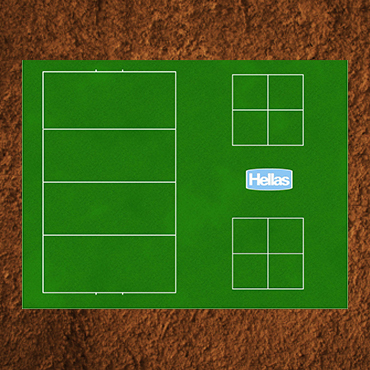 Trust Hellas to provide true and tested design options with activities and sports ranging from four square and running lanes to small soccer fields and customized multi-colored logos. Remember drawing hopscotch on your driveway as a child? 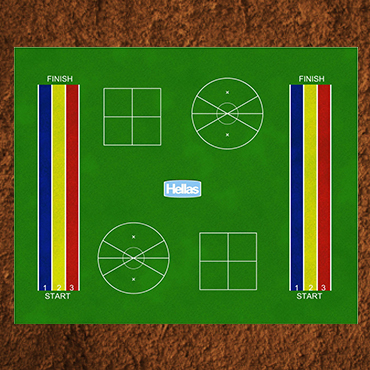 This age-old game develops important skills such as physical coordination, balance, and cognitive development. Children play together or by themselves, tossing a small object in one of the numbered spaces on the hopscotch diagram and then hopping or jumping through the spaces to retrieve the object. This competitive game is fun and excellent for improving manual dexterity, strategy, and social skills. 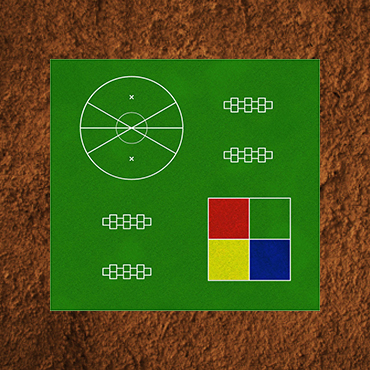 Players each take turns serving the ball from their numbered quadrant, starting with the player in the highest-numbered square. They also must not hit the line or they will be eliminated. 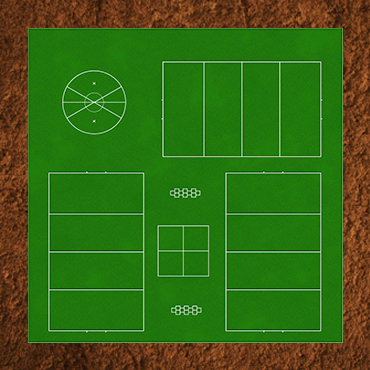 If players in the other squares do not return the ball, they are eliminated and new players join the game at the lowest-numbered square. Players will gain gross motor skills, balance, and proprioception. It is a one-on-one game where two opposing players stand on opposite sides of a stationary pole with a ball attached by a rope. Each player tries to hit the ball in the opposite direction to try and wrap the ball around the pole. The first player to wind the ball completely around the pole, wins. Soccer is the most popular sport in the world! 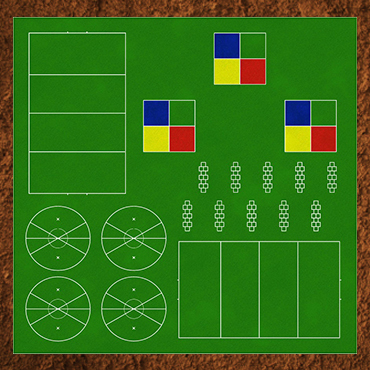 It is the easiest pick-up game available. Soccer requires only one ball and a space to play, but a Kickabout mini-soccer field makes it perfect. By incorporating a soccer mini-pitch to your Kickabout playground you offer children a convenient and superb space to develop important skills such as agility, speed and stamina. Soccer teaches children the importance of teamwork, perseverance, and determination at an early age and anyone can score a goal!